Lucchetti’s continues to offer the lowest prices and the best selection of tires on the South Shore! If we are NOT the lowest price in town, tell us and we will match our competitor’s price and exceed our competitor’s level of customer service. We offer ALL major brand tires including: Michelin®, BF Goodrich®, Firestone®, General®, Uniroyal®, Continental®, Yokohama®, Bridgestone® and numerous others. No matter what your tire size or brand preference, we can offer it to you. Unlike those “dot-coms,” we have our tires physically in stock and can install them TODAY! Lucchetti’s does not offer gimmicky tire warranty plans or expensive tire maintenance programs. Instead, we offer a straightforward pricing approach with no additional fees or expensive add-ons. Our pricing will always reflect several FREE benefits that other tire vendors typically do not offer. Also, our quotes will be exact and include state sales tax; NEVER any hidden charges. 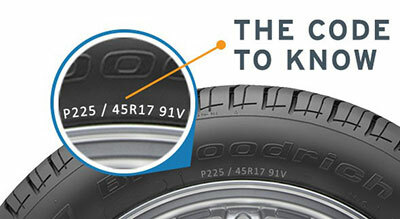 For tire information and/or recommendations, fill out the form below. Our expert tire professionals can help you make important tire decisions based on your specific driving needs. For tire information and/or free advice, call, email or stop by today! Do you have any other considerations/needs/preferences that we should know about?